Notice he has been totally and unusually absent from the first two episodes. All we ever get are verbal mentions of his name. Extremely unusual even by Mofftiss standards. But wait! This has happened before! Season 1. Moriarty is mentioned in the first two episodes, but only makes his actual appearance in the last one....ALIVE and well. Its hard to tell if Sherlock knows he's alive however. In TST he smacked the guy with the bust and said "Tell me about your boss, Moriarty. I know its him. It MUST be him!". I believe that it will be revealed that CAM and Culverton were all working for Moriarty in his new (and improved) criminal network. Still a bit thrown back by this. I don't want to believe that she is "the other one". She is definitely remarkable however. Like someone else I know. She was able to "hide in plain sight" through the use of 3 disguises. Sherlock in all of his deductive powers could not detect her in the disguises. She also has intimate info on Sherlock. Who is she reminding me of??? Who else was able to hide in plain sight and even fool the great Sherlock Holmes with the use of fake attributes? Only one other person. Moriarty! At the end of TLD, her mannerisms and speech were so much like Moriarty, I could've sworn that she would've pulled off a mask and reveal herself to be Moriarty! So my thoughts are: do you think she could possibly be Moriarty's sister? Only blood could share such remarkable similarities. Afterall, we know that Moriarty has a sibling.....who no one ever focused on. How convenient for Sherlock to feel some sort of affection for Moriarty's sister! As he told Culverton whilst reminiscing ever so affectionately, "I spent a whole evening with her. We had chips. AND SHE LIKED ME." One thing is for sure: she is definitely someone of high significance to actually play a role in all three episodes! Person or Place? Knowing Mofftiss, it could very well be a place. But the thought of seeing a mischievous grinning Tom Hiddleston popping out would definitely make my day! Sherlock and Loki in the same room. All that's missing is Tony Stark lol! Anyways, Sherringford. Could very well be the island castle we saw in the trailer. But what is its purpose? Mental facility, highly secure prison or secret refuge? One thing is certain however, Moriarty was there either visiting or residing. I saw him with two bodyguards walking along the beach during filming. He's definitely meeting someone, but its hard to say if he came out of the helicopter or if he's meeting with the helicopter's passengers (Sherlock and/or Mycroft). If its a prison, then I believe Mycroft confined Moriarty there at the end of HoB. Or maybe Euros was confined there as well. A dog who Sherlock loved and played with during childhood. TFP will feature a 6yr old Sherlock. The Copper Beeches also featured a 6yr old boy who was cruel to animals. The Sussex Vampire featured a 15yr old boy who wanted to poison his half-brother and practiced by shooting poisoned arrows at the dog. Maybe one or a combination of these will feature in TFP. And if it does, I believe the boy may be a neighbour of Sherlock who did that to Redbeard. Or maybe "the other one", but that's a scary thought! In HLV and the replay at the beginning of TST, Mycroft says: "I'm not given to outbursts of brotherly compassion. You know what happened to the other one." Its clear that Mycroft is behind the absence of the other one. Mycroft is keeping alot of secrets and they will be revealed in this episode. 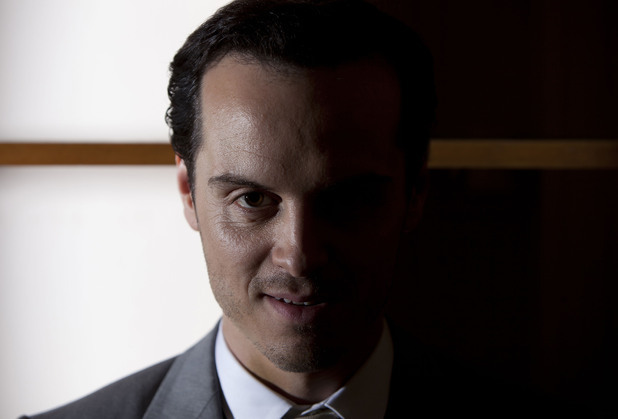 He definitely made a deal (or two) with Moriarty. In the HoB, we see Mycroft releasing Moriarty from confinement. Its clear that Mycroft could catch and contact Moriarty at will, yet is unable to (or chooses not to) imprison him. I believe they have deals made between each other unknown to Sherlock. As Moriarty once said: "Not even your big brother and all the king's men couldn't make me do a thing I didn't want to." As we can all remember, filming time was very scarce during the making of Season 3. Many things that were filmed infront of fans were thought to be red herrings to mislead the fans, but who would do such a thing when you're short on filming time and actors' availability? It turns out that those footage DID infact appear in the episodes of Season 3. All except for one which always stuck out to me and which everyone forgot about. I'm talking about the one where Mycroft and Moriarty were exiting the hospital together, then Moriarty takes Mycroft's red handkerchief from his pocket and cleans his sunglasses with it. Classic Moriarty to showoff dominance. They both then shake hands and proceed to go in opposite directions. I believe this footage will appear in this episode as part of the explanation of how Sherlock "did it". Mycroft had to help Sherlock fake his death, but in so doing, he made a deal with Moriarty.....cuz we all know and Mycroft knows, that the greatest criminal mastermind who could blow up NATO in alphabetical order, is not insane to kill himself! So how does Mycroft get him to disappear and lie low (be dead)? Make a deal. Maybe that's why Moriarty kept reminding Sherlock: IOU. I will NEVER fire a gun IN my mouth when I'm planning on Stayin Alive! The clue that everyone missed? Assuming she is related to the Holmes family, I believe that she will be a half-sister. Why half-sister? Her accent is clearly not like the Holmes family (we met the parents in Season 3). And, as mentioned above, the Sussex Vampire featured a 15yr old boy who wanted to poison his half-brother and practiced by shooting poisoned arrows at the dog. So Euros is definitely an evil one who kills (killed the real therapist and put her in a sack in a cupboard). I believe she may have killed or tried to kill Redbeard. She left clues for Sherlock in the note she procured from Culverton.....who she was introduced to by a mutual friend. Only one "spider" is powerful enough to make such introductions in that sort of "web". Moreover to get Culverton to hand over his daughter's note (which wasn't really necessary, as Euros could've written the note herself.....therefore, it goes only to show the power of the mutual friend who can make Culverton hand over such a personal and secret object). Also, it shows that Culverton was part of the plan to setup the Baker Street meeting between Sherlock and Euros. Notice how he was so confident about stating that the real Faith was never at Baker Street, never met Sherlock and that Sherlock doesn't know her at all. Why else also, would he have agreed to hand over the note? Because it was all a plan to trick and get at Sherlock. So we can conclude that Culverton was in on that. Something else to note about.....the note. The bloodstain. Why was it necessary to be there? How was it possible for the real Faith to get cut? No. I believe that the real note did NOT contain a bloodstain. After procuring the note, Euros inserted the "Miss me?" AND a bloodstain (for Sherlock to test). Notice that it was smudged over the word "Me". She said she added some deductions (plural) for Sherlock, but he didn't get the big one. We see that Sherlock only got one: the invisible "Miss Me?". But I don't think that was the big one. I believe the big one was the bloodstain over "Me". After knowing that it was not the real Faith who visited him, I believe he would've proceeded to carry out a test on the blood sample from the note. That would then be the CONCLUSIVE proof of the identity of a certain someone that Sherlock knows very well. Possibly even someone who should be dead, but is alive! Maybe it was Euros' blood......or Moriarty's! But its one of the two. Also remember the sudden constant use of the word "blood" between Mycroft and Sherlock as it relates to them being family! At this point I'm sort of leaning towards Euros being the half-sister. That would explain her character traits and the ability to disguise and fool Sherlock. She also mentions her parents giving them silly names and then proceeds to call them out in order of birth with her being the eldest (the other one is believed to be the eldest). And finally, do you think its possible for Euros to be Moriarty's girlfriend? He was skillful in using Molly Hooper, so what could be more devious than using a Holmes family member? I can't say for sure if the love interest is genuine or fake, but if its real, then it could possibly explain why Mycroft makes deals with Moriarty and doesn't go after him. What a big shocker that relationship would be! Would love to hear your thoughts on all these theories!